This opens with a deep caramel apple character with notes of plums and sultanas. The tart fruity finish has hints of raisins and a spiciness lent by the rustic hops. One of the best examples of an old ale on the market. A hopped-up American amber ale, Jamil Zainasheff provides the recipe for those who may want a bit more hop character in their American amber. 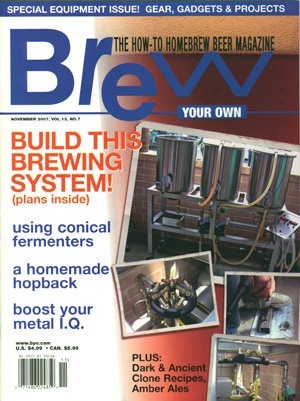 Jamil Zainasheff provides homebrewers a more malt driven version of the American amber ale. A amber-colored fruit ale with raspberries and chocolate added. A session-style English brown porter that despite its low gravity has deep flavors of dark chocolate, blackcurrant and tawny port. One of the very best brown porters of which most people have never heard of. Dark caramelized fruit, bready malt, and treacle fill out the flavors of this beer. The finish dries out just enough to highlight the deep malt character. A unique take on the Scottish 80/- style that may even be better with a touch of smoky Scotch whiskey added to it.